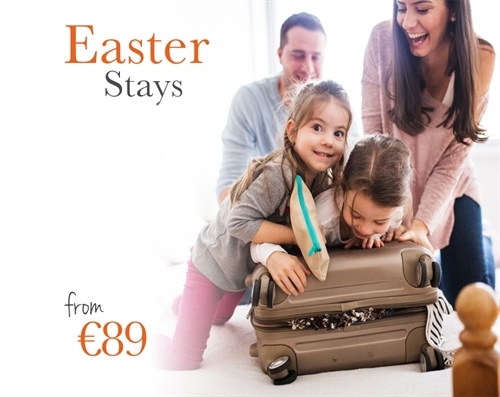 Easter Family Stay for 2 Adults & up to 2 Kids. For groups of 2 adults and 3 or more children please call us direct | €15 per extra child. Please note rates vary subject to availability. T&C apply.